Termites can be major pests to property owners everywhere. If you're dealing with a serious termite problem in Mableton, Georgia, however, relief is available to you. We're a full-service pest control firm that can handle all of your termite management requirements and beyond. If these wood-eating insects are taking a toll on your property, our seasoned and experienced exterminators are available to save your sanity. They can help you take care of existing termite infestations. They can stop future infestations from occurring as well. If you fail to take care of an existing termite problem quickly, it could lead to lasting damage to your furniture. It could even lead to serious damage to the structure of your property. Our technicians are trained and knowledgeable professionals who have extensive experience with pests of all varieties. Termites are certainly no exception. They're certified specialists who have helped customers deal with countless termite infestations over the years. They regularly take care of termite troubles in businesses and residences of all sizes, too. It doesn't matter if you live in a small condominium. It doesn't matter if you work in a large and spacious office, either. Our technicians can save the day and take full control of your termite crisis. 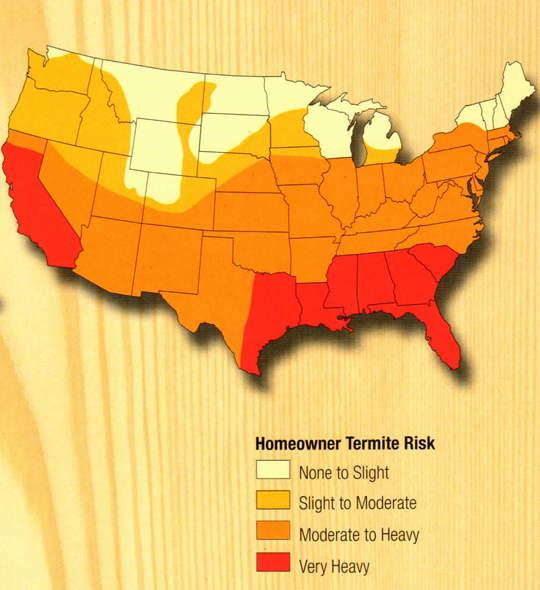 If you call our company for termite control, our capable technicians will visit your location to analyze the situation. They'll also provide you with a treatment quote. Once they determine exactly what's going on, they'll proceed with treatment using powerful liquid Termidor. Termidor is a reliable, safe and reputable termite protection formula that has a strong reputation within the industry. We specialize in termite management processes that are thorough and comprehensive. Our crews consist of between two and four exterminators. They'll trench the area surrounding your home. They'll then drill your slab foundation. Once those tasks are complete, they'll make use of Termidor 80wg. Your home will then be on the track to termite-free comfort and ease again. It's truly that simple. Bug-Off Exterminators offers customers the gift of peace of mind. We give our customers guaranteed defense. If you want to work with an extermination business that won't make you fret unnecessarily, you can count on us 100 percent. Our guarantees are rock-solid. We offer yearly renewal inspections that can keep your property termite-free for a long time. These guarantees are similar to insurance policies in many ways. We always do whatever we can to make our customers feel 100 percent comfortable working with us. 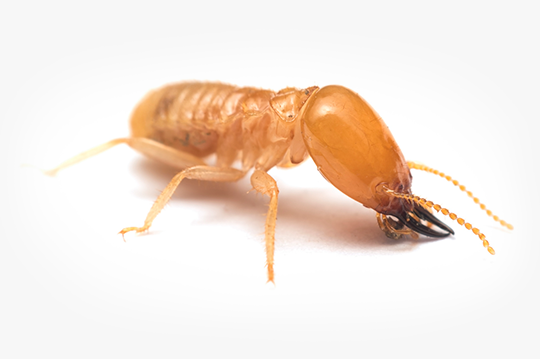 If you're currently looking for reliable, efficient and proficient termite control anywhere in Mableton, Georgia, our distinguished pest management business is calling your name loudly and clearly. People who want to learn more about our available termite treatment services can contact us any time for additional information. You can call us to learn more about Termidor 80wg as well. Reach out to our staff as soon as possible to schedule an appointment for the best and most trustworthy termite control service in all of Mableton. Our team members are skilled, friendly and helpful professionals who always focus on strong customer service. They work hard to make our customers feel at ease. The success of a termite colony revolves around the presence of at least one king or queen. The queen exists solely for the purpose of reproducing other termites. As a vital member of the colony, she can live up to 30 years. With a life span of about 30 years, a queen lays thousands of of eggs each year. Once hatched, these baby termites are called nymphs. Immediately after hatching, the nymphs are separated into groups that will mark them for life. They are split into workers, soldiers, reproductives, and supplementary reproductives. Found in infected wood, this is the largest group of termites in the colony. Despite being blind and wingless, these termites forage for food and build shelter for the colony. Sterile, wingless and blind, this group of termites are responsible for protecting and defending the other members of the termite colony. These winged termites will eventually leave the colony to swarm. After swarming, they will lose their wings. Once they are wingless, they will pair up. Each couple of termites will then go on their own to try and build their own colony. This group of termites exists to increase the population of their colony. They are also the pool from which the replacement for a king or queen will come from, if needed.